Deep in the Heart is a 2019 documentary movie by Randall Wright. 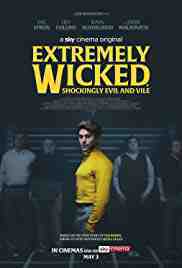 Extremely Wicked, Shockingly Evil and Vile is a 2019 USA crime biography by Joe Berlinger. 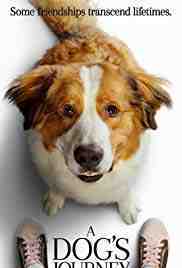 Starring Lily Collins, Zac Efron and Angela Sarafyan. I Love My Mum is a 2018 UK comedy by Alberto Sciamma. 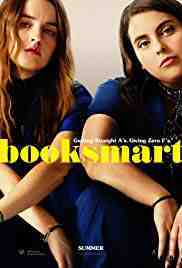 Starring Kierston Wareing, Tommy French and Aida Folch. 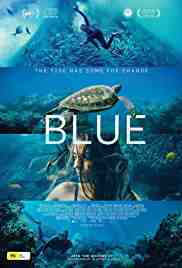 Blue is a 2017 Australia documentary by Karina Holden. Starring Elena Chekmazova, Andrey Stoyanov and Nadezhda Ivanova. The Mermaid: Lake of the Dead is a 2018 Russia horror romance by Svyatoslav Podgaevskiy. Starring Viktoriya Agalakova, Efim Petrunin and Sesil Plezhe. The Possession of Hannah Grace is a 2018 USA horror by Diederik Van Rooijen. Starring Stana Katic, Shay Mitchell and Grey Damon. Starring Katy Perry, Luke Bryan and Lionel Richie. Riverdale is a mystery drama by Maggie Kiley. Starring KJ Apa, Lili Reinhart and Camila Mendes. Liam: As It Was is a music documentary video by Charlie Lightening. Asbury Park: Riot, Redemption, Rock 'n Roll is a 2018 documentary movie by Tommy Jones. Starring Bruce Springsteen, Steve Van Zandt and Josephine Hammary. 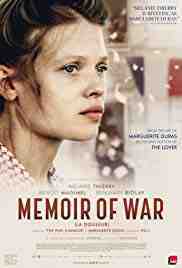 Memoir of War is a 2017 France / Belgium / Switzerland drama by Emmanuel Finkiel. Starring Mélanie Thierry, Benoît Magimel and Benjamin Biolay. June 1944, France is still under the German occupation. The writer and communist Robert Antelme, major figure of the Resistance, is arrested and deported. His young wife Marguerite Duras, writer and resistant, is torn by the anguish of not having news of her and her secret affair with her comrade Dyonis. She meets a French agent working at the Gestapo, Pierre Rabier, and, ready to do anything to find her husband, puts himself to the test of an ambiguous relationship with this troubled man, only to be able to help him. The end of the war and the return of the camps announce to Marguerite Duras the beginning of an unbearable wait, a slow and silent agony in the midst of the chaos of the Liberation of Paris. Milliard is a 2019 crime comedy movie by Roman Prigunov. 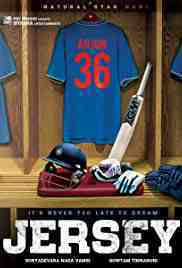 Jersey is a 2019 India sport drama by Gowtam Tinnanuri. Starring Shraddha Srinath, Nani and Sathyaraj. Kanchana 3 is a 2019 India comedy horror by Lawrence Raghavendra (as Raghava Lawrence). Starring Lawrence Raghavendra, Oviya and Vedika. Milosc I Milosierdzie is a 2019 Poland family biography by Michal Kondrat. Starring Kamila Kaminska, Maciej Malysa and Janusz Chabior. Steven Berkoff's Tell Tale Heart is a 2019 UK thriller by Stephen Cookson. Starring Hugh Skinner, Steven Berkoff and Dudley Sutton. 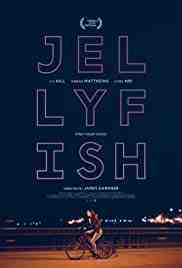 Jellyfish is a 2018 UK drama by James Gardner. Starring Liv Hill, Sinead Matthews and Cyril Nri. The Ruthless is a drama by Renato De Maria. Starring Riccardo Scamarcio, Sara Serraiocco and Marie-Ange Casta. Summer Night is a drama by Joseph Cross. 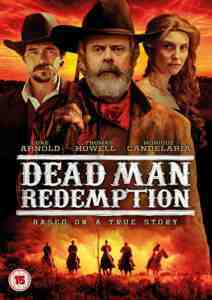 Starring Analeigh Tipton, Lana Condor and Justin Chatwin. Starring Chae-Yeon Jung, Jinyoung Jung and Ji Soo. The Spanish Princess is a drama by Birgitte Stærmose and Stephen Woolfenden. Starring Charlotte Hope, Stephanie Levi-John and Angus Imrie. White Gold is a comedy video by Damon Beesley. Starring Ed Westwick, James Buckley and Joe Thomas. Starring Hailee Steinfeld, Nicolas Cage and Mahershala Ali. 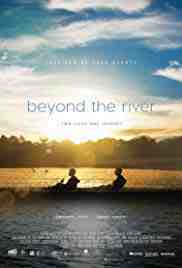 Beyond the River is a 2017 South Africa drama by Craig Freimond. Starring Garth Breytenbach, Emily Child and Lemogang Tsipa. Dr. Strangelove or: How I Learned to Stop Worrying and Love the Bomb is a 1964 USA / UK comedy by Stanley Kubrick. Starring Peter Sellers, George C Scott and Sterling Hayden. Paranoid Brigadier General Jack D. Ripper of Burpelson Air Force Base, believing that fluoridation of the American water supply is a Soviet plot to poison the U.S. populace, is able to deploy through a back door mechanism a nuclear attack on the Soviet Union without the knowledge of his superiors, including the Chair of the Joint Chiefs of Staff, General Buck Turgidson, and President Merkin Muffley. 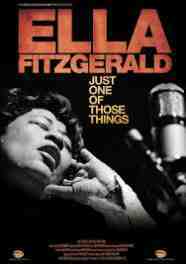 Ella Fitzgerald: Just One of Those Things is a 2019 UK / USA biography by Leslie Woodhead. Exhibition on Screen: Van Gogh & Japan is a 2019 documentary movie by David Bickerstaff. Bosch is a crime drama by Alex Zakrzewski. 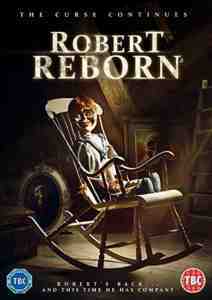 Starring Mark Adair-Rios, Chris Ashworth and Jeremiah Birkett. Line of Duty is a crime thriller by John Strickland. Starring Stephen Graham, Martin Compston and Vicky McClure. Breakthrough is a 2019 USA biography by Roxann Dawson. Starring Topher Grace, Chrissy Metz and Josh Lucas. National Theatre Live: All About Eve is a 2019 drama by Ivo van Hove. 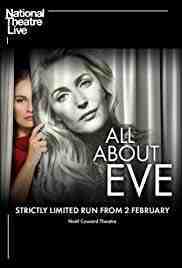 Starring Lily James, Gillian Anderson and Julian Ovenden. Crime and Punishment is a 1935 USA crime drama by Josef von Sternberg. Starring Edward Arnold, Peter Lorre and Marian Marsh. Hold Back the Dawn is a 1941 USA romance by Mitchell Leisen. Starring Charles Boyer, Olivia de Havilland and Paulette Goddard. Told in flashback from a preface in which the main character visits Paramount to sell his story! Romanian-French gigolo Georges Iscovescu wishes to enter the USA. Stopped in Mexico by the quota system, he decides to marry an American, then desert her and join his old partner Anita, who's done likewise. But after sweeping teacher Emmy Brown off her feet, he finds her so sweet that love and jealousy endanger his plans. The Hole in the Ground is a Ireland horror by Lee Cronin. Starring Seána Kerslake, James Quinn Markey and Simone Kirby. The Kleptocrats is a documentary TV episode by Sam Hobkinson and Havana Marking. 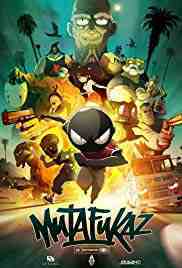 Mfkz is a 2017 France / Japan action animation by Shôjirô Nishimi (as Shoujirou Nishimi) and Guillaume Renard. Starring Tay Lee, Mark Ryan Haltom and Ray Chung. American Gods is a drama by Frederick EO Toye and Christopher J Byrne. Starring Olunike Adeliyi, Stephannie Hawkins and Mousa Kraish. Dynasty is a drama by Brandi Bradburn. Heathers is a thriller by Leslye Headland, Sydney Freeland and Adam Silver. Starring Grace Victoria Cox, Melanie Field and James Scully. Fm is a 1978 comedy music drama by John A Alonzo. Starring Michael Brandon, Eileen Brennan and Alex Karras. 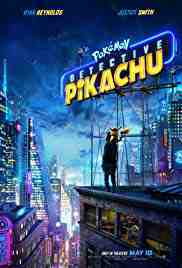 Detective Pikachu is a 2019 Japan / USA family action comedy by Rob Letterman. Starring Ryan Reynolds, Suki Waterhouse and Kathryn Newton. 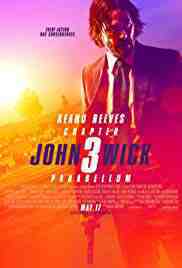 John Wick: Chapter 3 - Parabellum is a 2019 USA action thriller by Chad Stahelski. 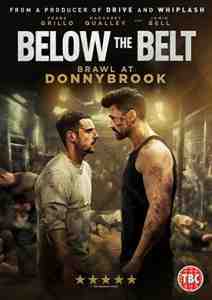 Starring Keanu Reeves, Ian McShane and Asia Kate Dillon. Kalank is a 2019 India action historical romance by Abhishek Varman. Starring Varun Dhawan, Alia Bhatt and Aditya Roy Kapoor. Small Town Hero is a drama by Darren Bolton. 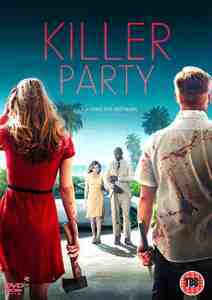 Starring Simon Cassidy, Millie Reeves and Harrison Ainslie. Starring Paulina Gaitan and Adrian Ladron. Wild Rose is a 2018 music drama by Tom Harper. Starring Jessie Buckley, Julie Walters and Sophie Okonedo. Peppa Pig: Festival of Fun is a 2019 children's cartoon movie by Mark Baker. 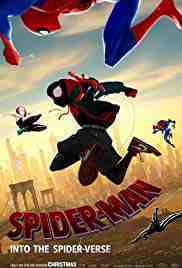 Starring Harley Bird (voice), Morwenna Banks (voice) and Arisha Choudhury (voice). Knife+heart (Un couteau dans le coeur) is a 2018 France / Mexico / Switzerland romance by Yann Gonzalez. Starring Vanessa Paradis, Kate Moran and Nicolas Maury. 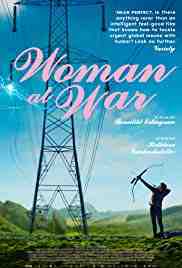 Woman at War is a 2018 Iceland / France / Ukraine action thriller by Benedikt Erlingsson. 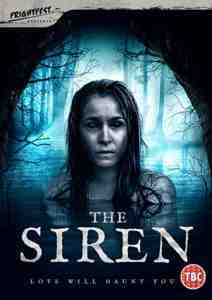 Starring Halldóra Geirharðsdóttir, Jóhann Sigurðarson and Juan Camillo Roman Estrada. PM Narendra Modi is a 2019 India biography by Omung Kumar. Starring Vivek Oberoi, Barkha Bisht and Boman Irani. Vellai Pookkal is a 2019 crime thriller by Vivek Elangovan. Starring Paige Henderson, Tyler Roy Roberts and Peyton-Justine. 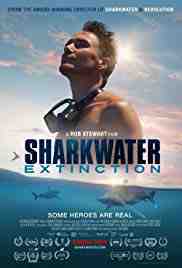 Sharkwater Extinction is a 2018 documentary by Rob Stewart. 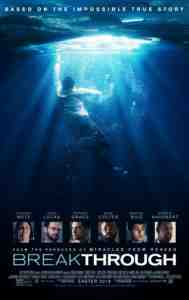 Starring Rob Stewart, Will Allen and Brock Cahill. The Ancient Magus' Bride is a animation video by Michiru Itabisashi and Norihiro Naganuma. Starring Brian Mathis (voice), Dani Chambers (voice) and Jennifer Green (voice). 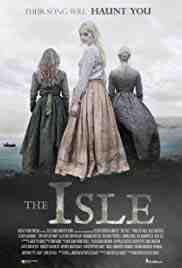 The Isle is a 2018 UK mystery fantasy thriller by Matthew Butler-Hart. Starring Conleth Hill, Alex Hassell and Tori Butler-Hart. 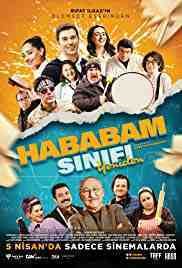 Hababam Sinifi Yeniden is a 2019 Turkey comedy by Doga Can Anafarta. Starring Altan Erkekli, Toygan Avanoglu and Hande Katipoglu. With this year's new students, teachers and colorful characters, the Hababam Class is excited about the new school year. Because, Private Çamlica High School goes back to mixed education and new girls are coming to school. A sweet competition begins between girls who are new to class and Hababam men. While girls and boys are challenging each other, of course everything is not going well. Hababam's naughty students Duba Nuri, Format Hasan, Racon Faruk, Yakisikli and Düldül, together with the new students joining the class then go on adventure. 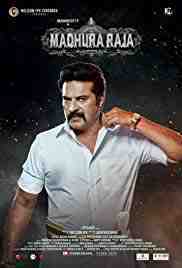 Madhura Raja was previously passed 15 for strong violence ( 150:06s ) but the distributors preferred a cut 12A rated release. Astro is a 2018 USA action Sci-Fi thriller by Asif Akbar. Starring Gary Daniels, Marshal Hilton and Courtney Akbar. Starring Brittany Lauda (voice), Matt Shipman (voice) and Bryn Apprill (voice). My Hero Academia - Season 3 - Part One is a animation video by Kenji Nagasaki. Starring Justin Briner (voice), Christopher R Sabat (voice) and Clifford Chapin (voice). 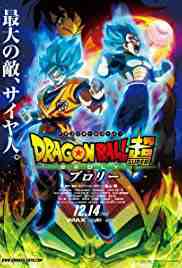 Dragon Ball Super: Broly is a 2018 Japan action animation fantasy by Tatsuya Nagamine. Starring Sean Schemmel, Christopher Sabat and Vic Mignogna.